Two metal detecting friends have unearthed jewellery which could be the oldest iron age gold discovery in Britain. 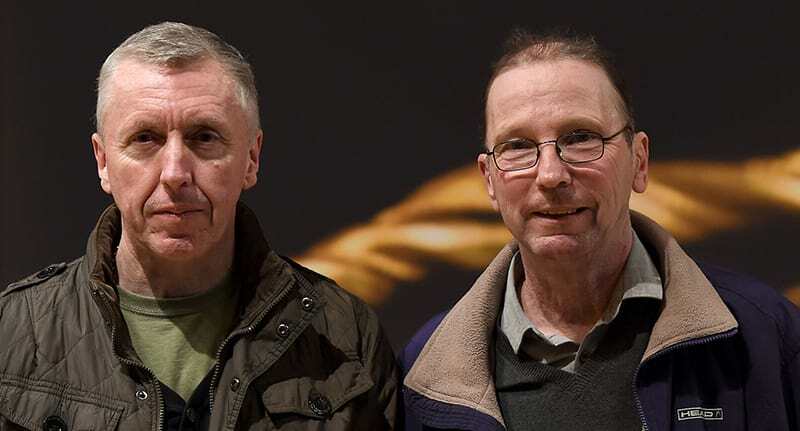 Mark Hambleton and Joe Kania made the find on a Staffordshire field where they previously found nothing 20 years ago. The men found three necklaces and a bracelet believed to be about 2,500 years old. 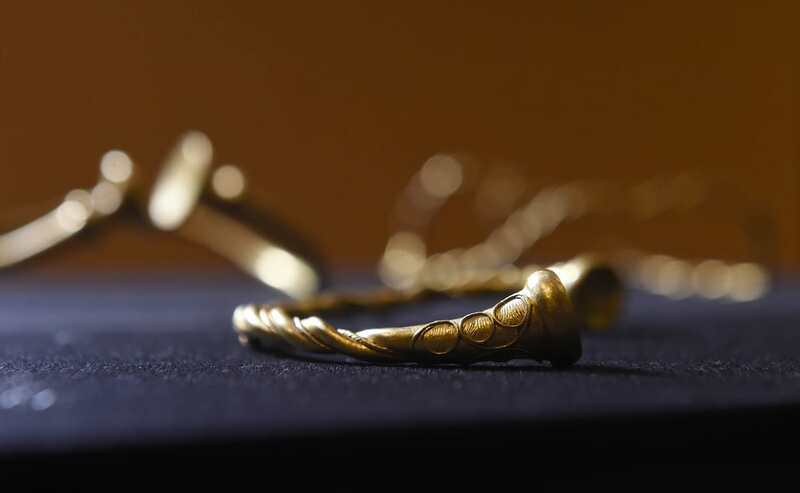 The collection, which has been named the Leekfrith Iron Age Torcs, was found in December 2016. The four torcs were found separately about 1m apart and buried just beneath the surface ahead of Christmas. Experts believed they made in the third or fourth century BC, and made in Europe, and possible Germany or France, the BBC reports. 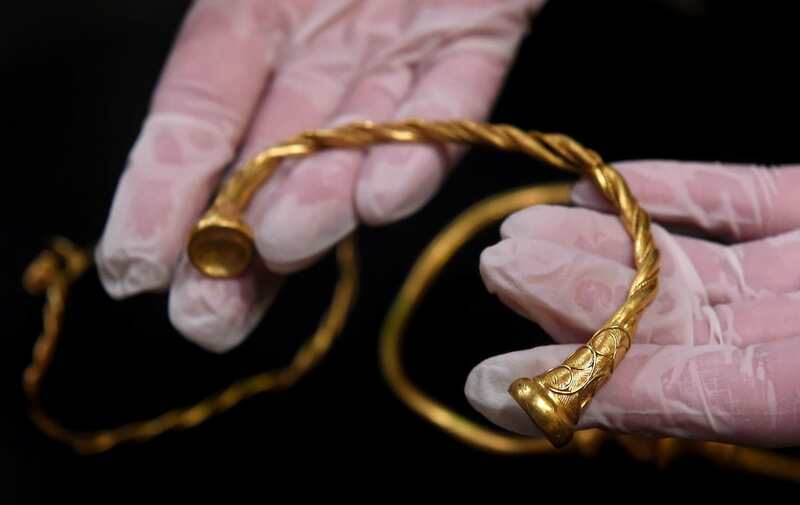 It is not known why the torcs were buried, but it’s speculated that it could have been as an offering to the gods, for safekeeping or as an act of remembrance. The finds have since been handed over to the Portable Antiquities Scheme, part of Birmingham Museums. A formal valuation is set to take place at the British Museum.